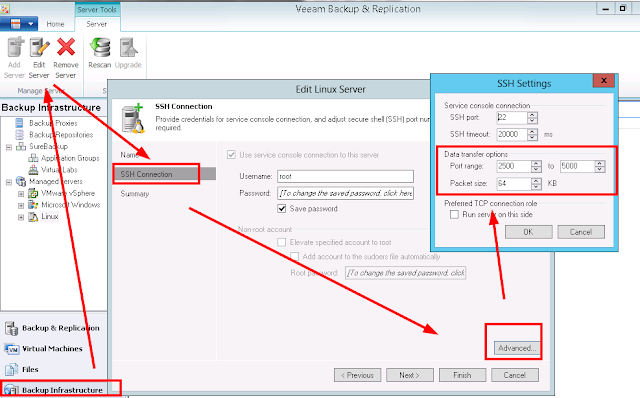 In this last series, I'll describe some problems I encountered when doing file restores with Veeam B&R / Centos 6.3 . I used a very basic centos install and so most people will not encounter these problems. But just in case you do, here are the solutions. Remember, these are Centos solutions but the problems should be resolved in a similar way on other distributions. Please add your solution for other distributions as a comment if you find them. 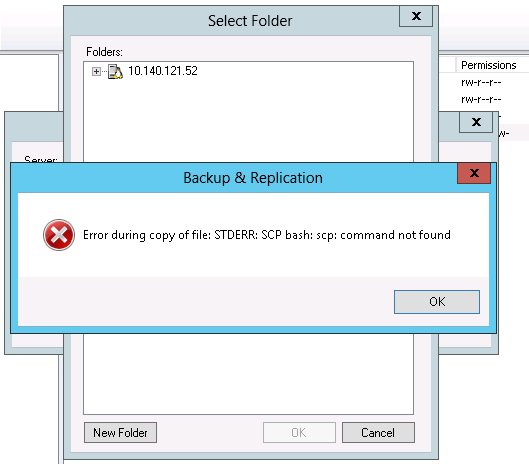 First Problem is the "Error during copy of file: STDERR: SCP bash: scp: command not found" error. Basically the error says everything. 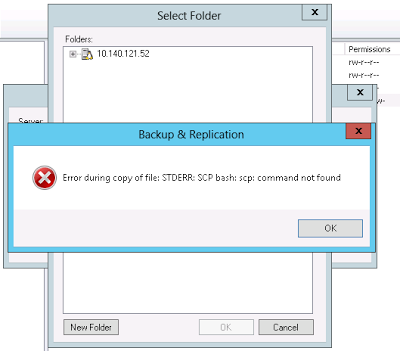 We don't have scp installed because I choose for a base install. The second problem occurs when you execute the restore. The error is something like "Failed to connect to agent , EP :2500 A connection attempt failed because the connected party did not properly respond ..."
Again the error says it all. The firewall is blocking the request. 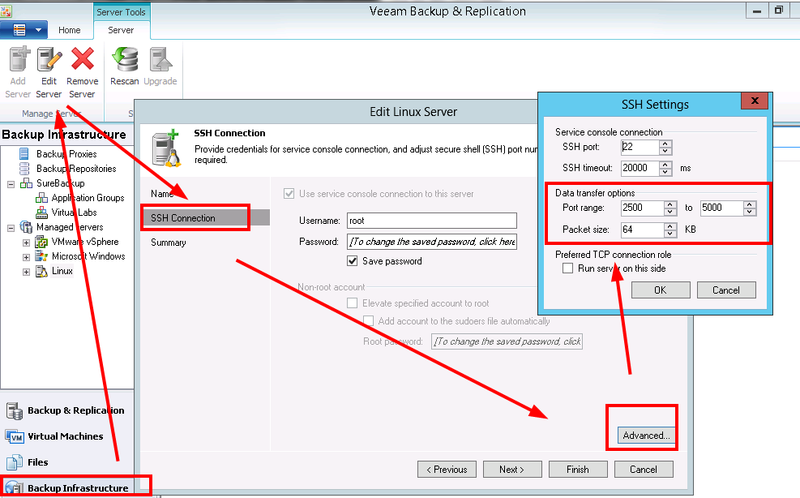 So what ports does Veeam use? Well you can specify the range when you add/edit the Linux server. If you are in the SSH connection section, you can click the advanced option. There you can set the port range. I actually modified the range to 2500 to 2520. 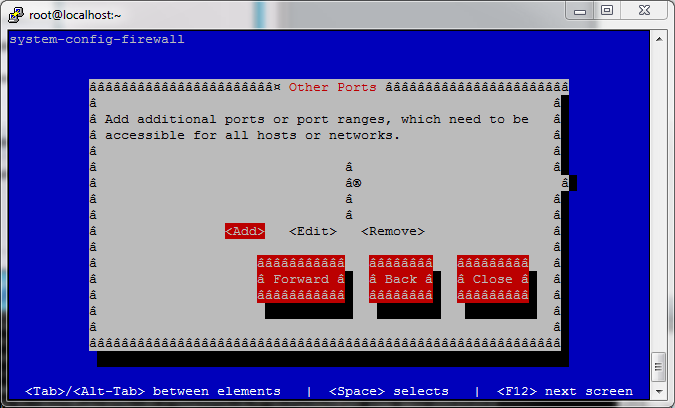 I'm not saying it is a best practice but this way, I don't have to open/reserve to much ports. So now connect to your Linux server and configure your firewall. 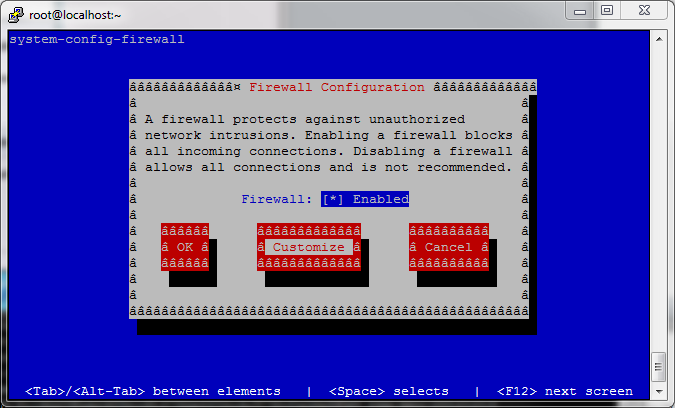 I like to use the Firewall tui which can be installed by executing "system-config-firewall-tui" . Again if you don't have it, install it via "yum install system-config-firewall-tui"
Click Forward until you can manually add rules. Add a new rule. 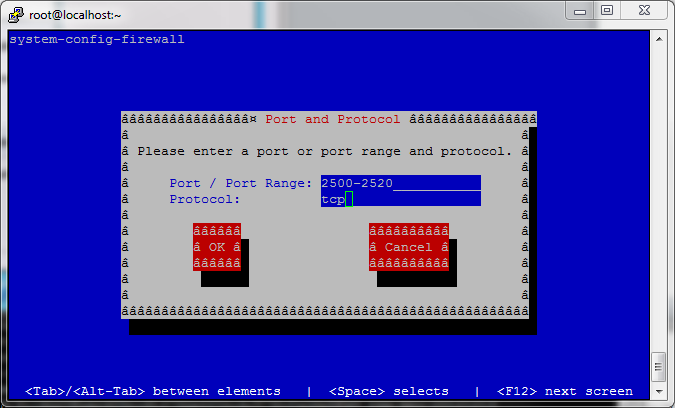 Now add your port range, in this case 2500-2520 (if you use the default options enter 2500-5000). As protocol, enter tcp. If you now click Ok, Close and the Ok your firewall should be set. If you look at "/etc/sysconfig/iptables", you will see that a new rule has been added. 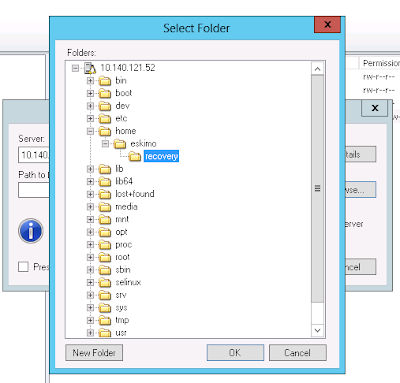 You should now be able to restore your files.